The second tale in the August 1939 issue of Thrilling Wonder Stories is the dryly humerous "The Time Twin," written by Lyle D. Gunn. I like to think I'm fairly knowledgable about the history of science fiction, but I can't find a reference anywhere to the first time someone used the idea of parallel universes that are only slightly different than our own. It's a well-used cliche in the genre now. Everyone knows know, for instance, that if your twin from another universe has a goatee, then he's an evil twin. This is handy information to have. But I'm not sure how common this was in 1939. "The Time Twin," though, explains the idea concisely and proceeds to have fun with it. A physicist named Harry Steffens goes home one night to find his extra-dimensional twin in his house. After some initial confusion, the two Harrys figure out what's going on. One Harry is from another universe that is one day farther in the future than our Harry's universe. It's Saturday, May 8 here, but Sunday, May 9 over there. The other Harry was hit by lightning near a power plant and zapped into this reality. They realize that their respective timelines are nearly identical, though there are some differences. How to handle this situation on the long-term is set aside when the two realize that the other Harry knows who won the Kentucky Derby. The two pool their money, bet on the long-shot who won in the other timeline and win a nice nest egg that our Harry can use to finally marry the girl he loves. Except the other Harry also loves that girl--or at least he loves the girl from his universe, which he figures is close enough. So how does our Harry stop his identical twin from stealing his gal? The story works on a "smile and occasionally chuckle" level rather than a "laugh out loud" level, but it tells the story well and has a lot of charm. After the somewhat flawed story we looked at last time, "The Time Twin" puts this issue back on an enjoyable track. This is one of the hardest reviews I've ever written. Why? Because this story is crammed with so many cool and imaginative moments that I had difficulty in deciding what images to use. Blog posts need to be short, because many of you are reading them while you should be working or paying attention to your families!--so I can't ramble on too long. "Daddy, my leg is stuck in a bear trap and a hungry mountain lion is stalking me!" "Just a minute, honey, I need to finish reading about Blockade Boy!" So no matter what images I choose to use here, I'm leaving out several that are equally cool. It's a two-part tale, running through Adventure Comics #344 & 345 (May & June 1966), with a script by Edmond Hamilton and art by Curt Swan. 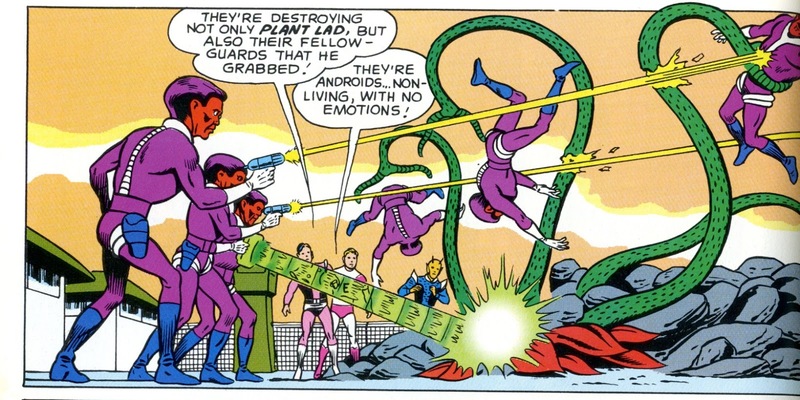 The story begins when the Legion receives an emergency signal from Brainiac 5, who has been taken prisoner on a remote planet. A team flies off to help and discovers a large prison camp, with android guards and surrounded by a jungle filled with deadly flora and fauna, located on that planet. They all end up getting captured, with the guys put in one section of the camp and the gals in another. For most of the story, we are focused on the guy prisoners. We find out the camp is run by an alien named Nardo, who was exiled from his home by lawmen, so has declared war on all good guys everywhere. Aside from the Legionaires, the camp is populated by superheroes from many other worlds. Nardo's guards wield enough raw power to keep everyone in line despite their powers. What follows is a story line overtly based on the movie Stalag 17. 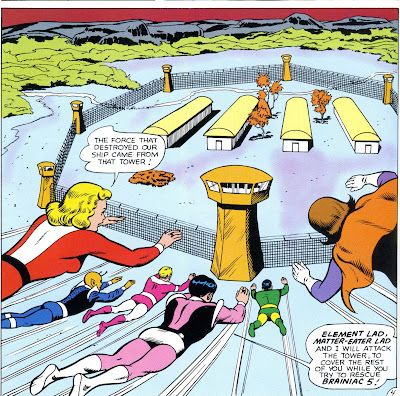 With Brainiac 5 as escape officer, the prisoners start coming up with schemes to break out. But everytime they try something, Nardo is waiting for them. A shapechanging alien locked in the form of Superboy is the first to die trying to escape. 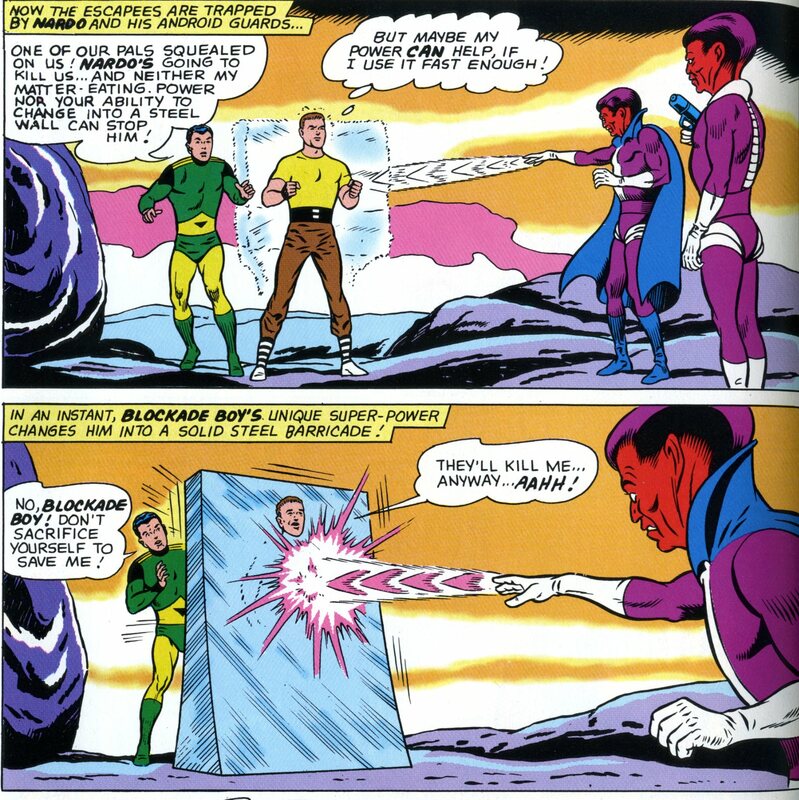 Later, Matter Eater Lad chews a tunnel to freedom, followed by a hero called Blockade Boy. But once again, Nardo is waiting. 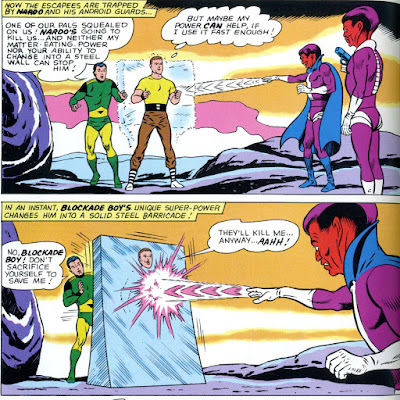 In a single panel that contains an astonishing level of emotional impact, Blockade Boy sacrifices himself to save Matter Eater Lad. 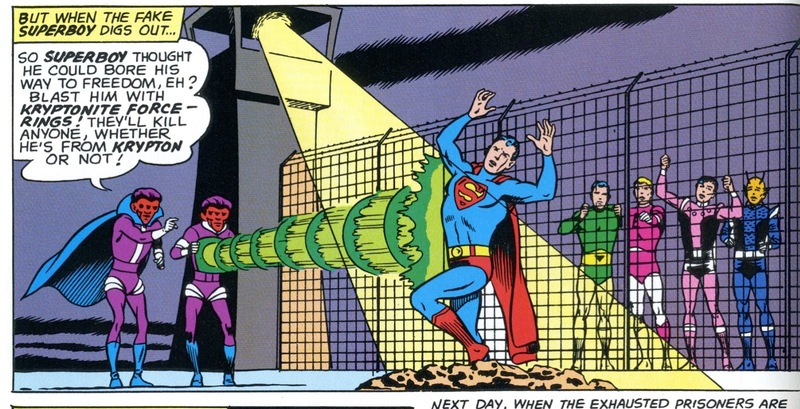 Another hero, Plant Boy, falls when he loses his temper over brutal treatment and gets gunned down. In Stalag 17, when the prisoners find out who has been feeding the Germans escape information, they set him up to get killed by the guards. That M.O. doesn't fit the Legion, though, so when a "hero" named Weight Wizard is fingered as the stool pigeon, he has an attack of conscience and makes a break for it. That doesn't end well for him. Meanwhile, the girls are doing better than the guys. Duo Damsel and Light Lass come up with a clever combination of their powers, allowign Duo Damsel to getaway and start a stampede of jungle monsters into the camp. 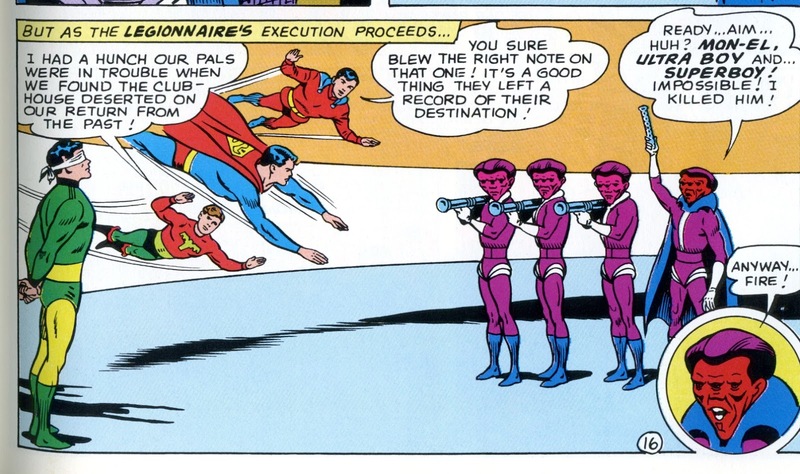 This jump-starts a series of action vignettes, which ends with Matter Eater Lad about to be executed when Superboy, Mon-El and Ultra Boy show up in the nick of time to finally capture Nardo. 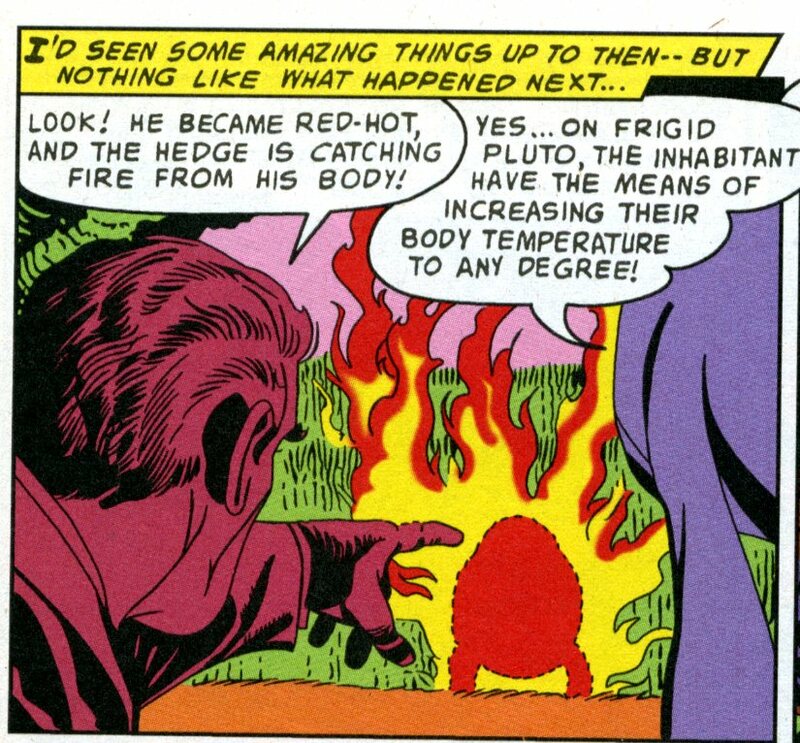 Matter Eater Lad, by the way, is stunned by an atomic ray during all this, which has the side-effect of making him super-fat. This would be re-set a few issues later, but poor M.E.L. would have to endure some pretty lame fat jokes for a short time. I've raved about Edmond Hamilton's incredible imagination many times in the past. 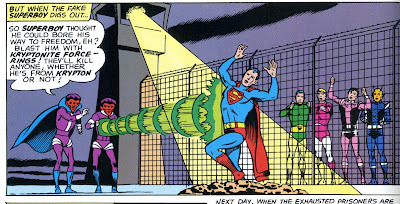 This might be the Ur-example of just how much cool stuff he could inject into a story (backed up in this case by Curt Swan's equally cool art, of course). 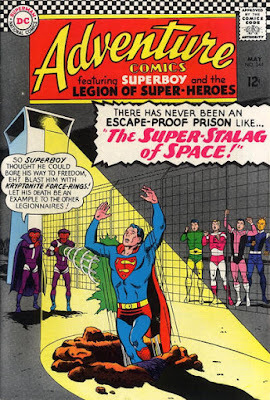 "The Super-Stalag of Space" drips with fun and imagination in every panel. That's it for now. 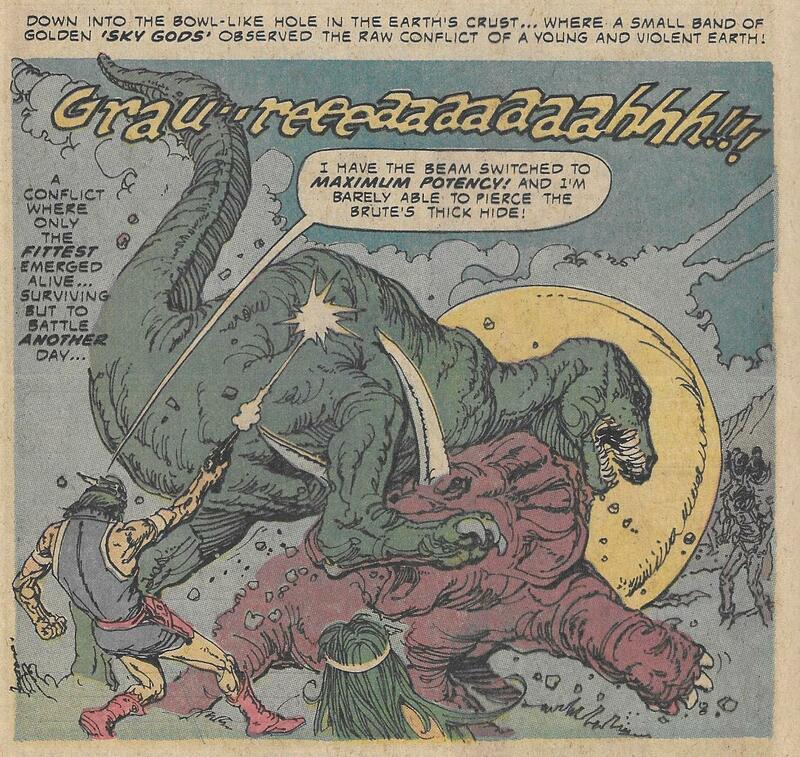 Next week, we'll return to prehistoric Earth for another visit with Tragg. 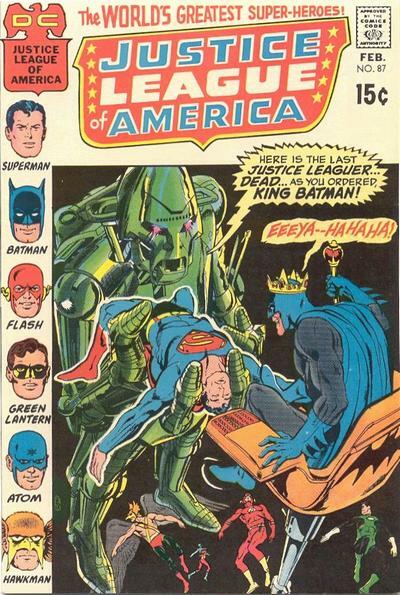 Neal Adams cover from 1971. It's Batman's insane laugh that really sells the image. 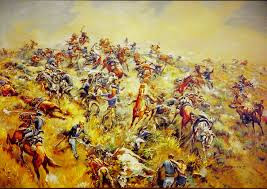 After the battle at Little Big Horn, the sword of General Custer goes missing. It soon becomes a source of legend and (when it does turn up) greed. The Crime Doctor was originally a radio show that ran from 1940 to 1947. The main character was Benjamin Ordway, a former criminal who--while suffering from amnesia--studied for a medical degree. When he regained his memory, he dedicated his life to helping other criminals go straight. The early episodes put Ordway in charge of a parole board, hearing individual cases then allowing the studio audience to vote on whether to grant parole. Later, the show became a straight mystery, with Ordway getting called as a consultant to help with difficult cases. I've only heard a few of the later episodes--I think only a few episodes survive. But today, we'll be taking a look at the first of 10 B-movies that were based on the radio show. Starring Warner Baxter as Ordway (renamed Robert for the films), the first was made in 1943 and the last in 1949. This particular series has never gotten an official DVD release and I've never happened to catch them on TV. TCM has apparently played them a few times, but I don't own one of those new-fangled television machines. My parents live nearby and can get TCM, but have nothing with which to record anything. It's like living in prehistoric times! The first movie in the series, though, has showed up on YouTube. I've just watched it and I have to say I'm impressed. 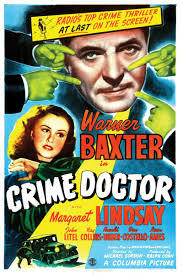 Crime Doctor (1943) is an origin story. In his invaluable book Mystery Movie Series of 1940s Hollywood, Ron Backer points out that this was unusual. Most B-movie characters are already full-fledged cops, private eyes, adventurers, cowboys, etc. when their movie series begins. But we get to watch Dr. Ordway become Dr. Ordway. Found with a head injury at the side of a road, he wakes up in the hospital with his memory completely gone. He's frustrated at first, but with the help of Dr. Carey (played by Ray Collins--who originated the role of Ordway on radio), he decides to study medicine in the hopes of finding a cure for himself. He never does, but finds a satisfying life as a psychiatrist. He eventually finds enormous success in helping convicted criminals straighten out their lives and is appointed to the head of the parole board. Crime Doctor is quite a good movie and a strong start for a series. Warner Baxter is excellent as Ordway and infuses the role with a lot of strong emotion. The three gang members are given distinctive personalities, especially a particularly clever thug played by John Litel. Litel, by the way, was Nancy Drew's dad in that B-movie series. Every time he becomes menacing in Crime Doctor (and he can be pretty darn menacing), I kept expecting Nancy to show up and tearfully exclaim "Daddy! How could you?" I hope I can someday see the others in the series, which are annoyingly NOT on YouTube or Amazon Prime. Backer's book is again helpful here. From it we learn that (as in the radio series), the parole board aspect of his character is dropped. Apparently, his mentor Dr. Carey and his love interest also vanish without explanation. Ordway becomes a consultant helping the police solve murders. He doesn't seem to mind that the woman he loved has vanished between films. But then, if you get to solve murders, why worry about little details like that? So, though I like the first film a lot, I don't have a problem with the change in format. If you're called "The Crime Doctor" and you're not committing crimes, then you had better be solving them. Otherwise, the name is just embarrassing. The Most Dangerous Game... On Neptune! It is interesting how an idea from one short story ("The Most Dangerous Game" (1924), by Richard Connell) spun off into so many different versions. And it actually borders on the amazing that so many of these stories are so much fun. Some story ideas lend themselves to countless variations. Jack Kirby drew "I was Big-Game on Neptune" for DC's My Greatest Adventure #20 (March/April 1958). Here we meet George Weller, who is more interested in going hunting than in being a good husband. Boy, is HE going to learn his lesson. George gets kidnapped by hunters from Neptune and soon finds himself with a group of diverse aliens from other planets, all of whom are being hunted as big-game through the jungles of Neptune. 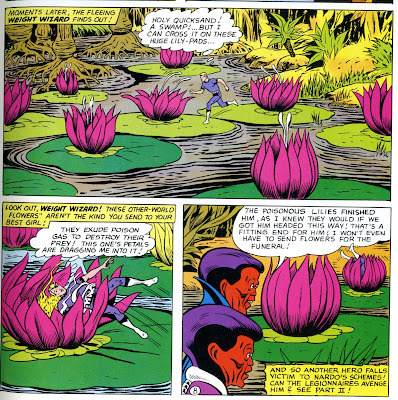 George, who proves himself to be a natural leader, takes charge and comes up with the plan of doubling back through the thick jungle and stealing the hunters' space ship. It's a good plan, but the hunters are always one step ahead of them. 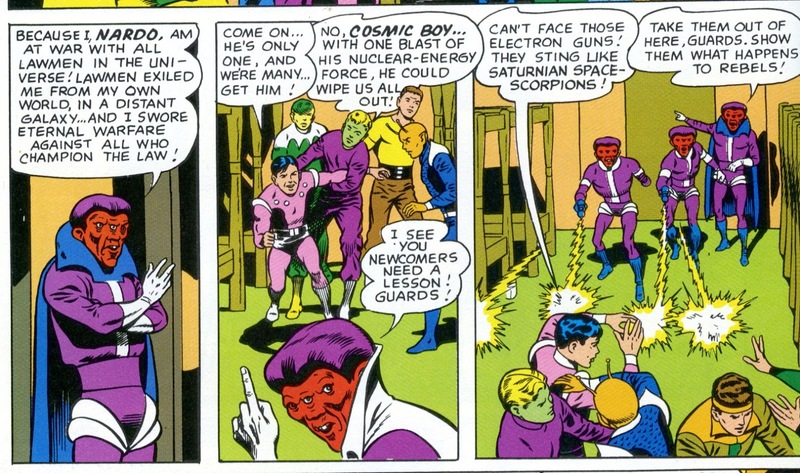 Only clever use of the powers of several of the other aliens keeps George and his friends alive. 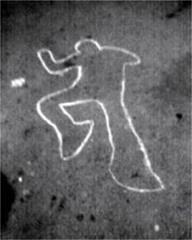 Finally, George picks up on several clues. 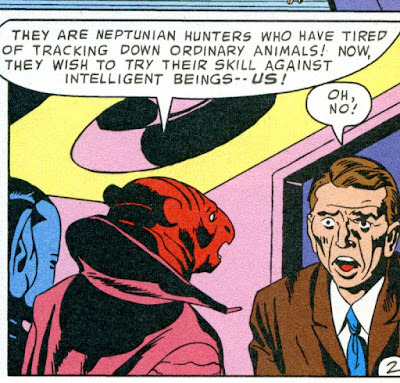 One of them allows him to deduce that there's a spy in their group--a supposed native of Saturn was actually a Neptunian in disguise. When the group does get to the space ship and has a chance to escape, George realizes the hunters will only pull the same stunt on other innocent victims if they aren't stopped now. 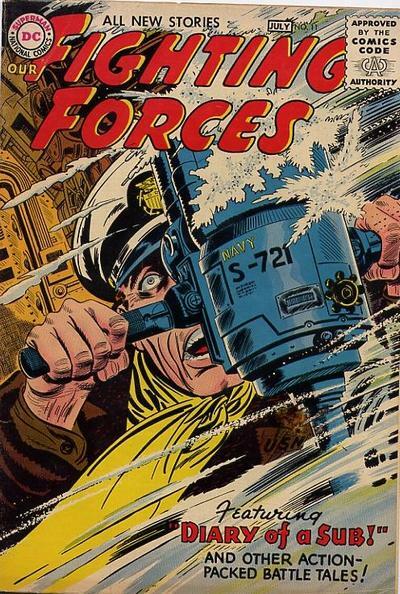 But how can he fight hunters armed with powerful ray guns? Well, the other clue he picked up on earlier in the story might just give him the answer to that question. This really is a fun story. The writer is uncredited. 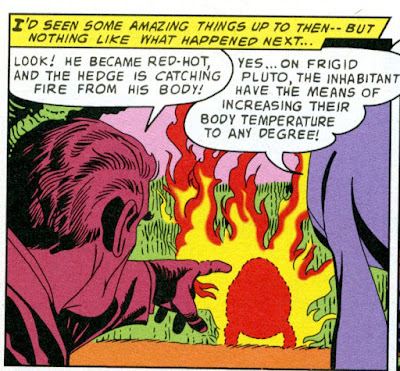 Kirby was writing a lot of his own stuff at DC about that time, such as Green Arrow and Challengers of the Unknown. So it's very possible he wrote this. It certainly demonstrates his boundless imagination in the plot as well as the visuals. Next week, we'll meet more aliens as we visit the Legion of Super Heroes again. Anybody remember Blockade Boy? If you do, you've just guessed what Legion story I'll be reviewing. George Rozen cover from 1937. 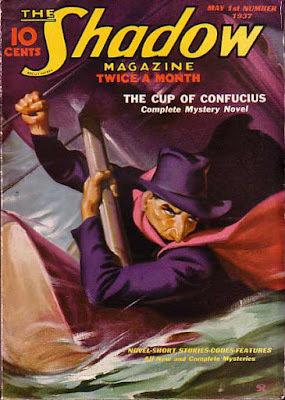 The Shadow Magazine may have had the consistently best covers of all the pulp magazines. 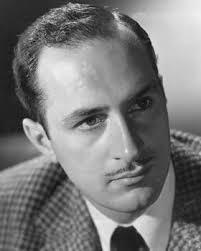 Keenan Wynn stars in a tale about a man who marries a wealthy but critically ill woman. When she fails to actually die (preventing him from taking her money and then marrying the woman he really loves), he decides that he's going to have to help the process along. But first, he'll need to set up the perfect alibi. Well, that doesn't look much like an adventure magazine, does it? 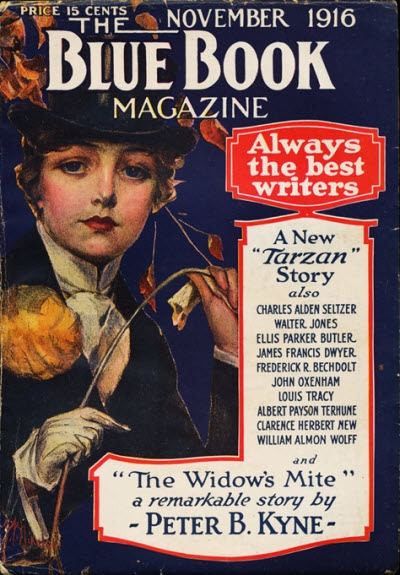 But Blue Book Magazine actually published a lot of cool stuff, including a number of Edgar Rice Burroughs' tales. This issue--cover-dated September 1916--was the first of those publishing the stories that were later collected into The Jungle Tales of Tarzan in 1919. Jungle Tales is the 6th of the original Tarzan books and the only one to be an anthology of short stories rather than a novel. Over the course of the first five books, Tarzan had married Jane and now had an adult son. 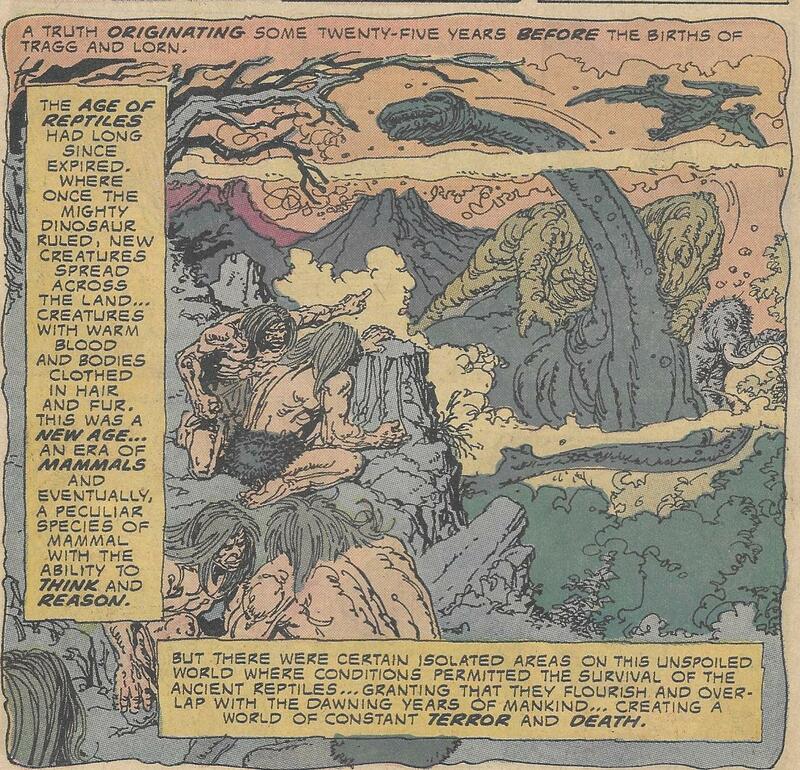 (Which, by the way, causes no end of confusion to putting together a timeline for Tarzan's life.) Burroughs, at the time, was thinking that it would be more convenient to get Tarzan involved in adventures if he were single. He would soon try to kill off Jane, but publishers would balk at this and Jane was allowed to live. 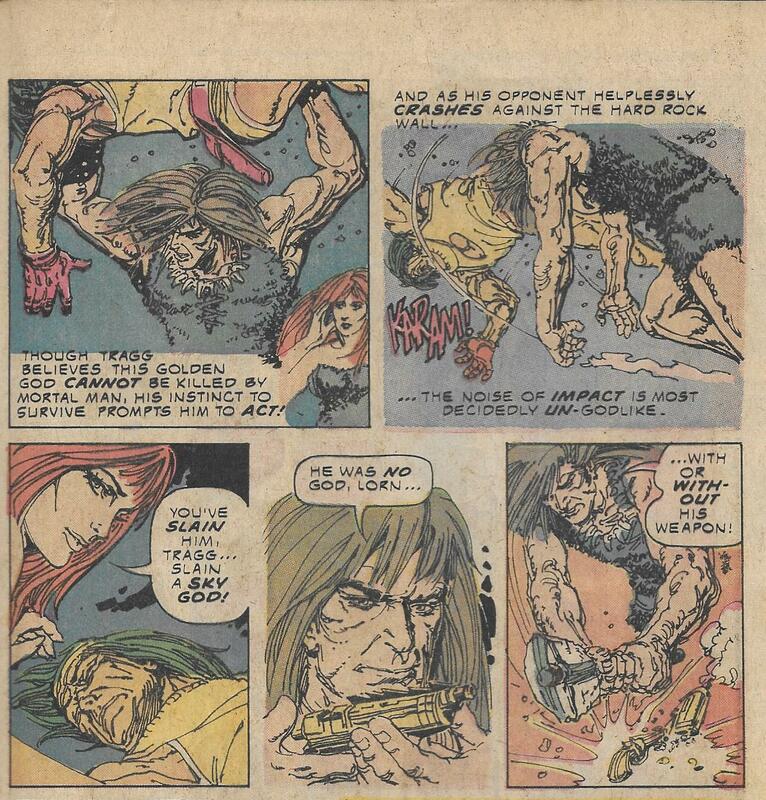 But before Burroughs' turned the cross-hairs on poor Jane, he jumped back to Tarzan's days living with the apes. The 12 stories that make up Jungle Tales all fit into Chapter 11 of the first novel, set between the death of Tarzan's ape-mother Kala and Tarzan becoming leader of the apes. My favorite is the third story, "The Fight for the Balu," published in the November 1916 issue of Blue Book. I think this is because it is such an effective example of straightforward storytelling. The story is simple. A she-ape named Teeka has mated with a male named Taug. Both were childhood playmates of Tarzan, so when they have a baby (a balu in the ape language), Tarzan wants to see it and perhaps play with it. But as a new mother, Teeka reacts to situations on pure instinct--all centered around protecting her baby. 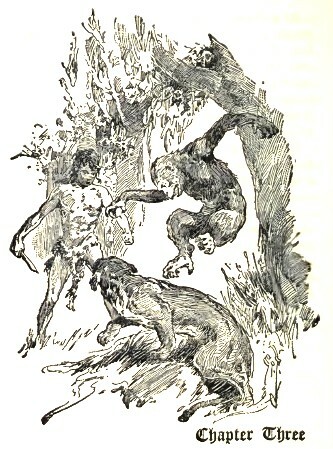 She bites Tarzan when he approaches the balu. This involves Taug in the conflict. It's a simple, fun story with Burroughs' doing his usual excellent job of giving us several fun fight scenes. Jungle Tales is an entertaining sort-of "time out" from Tarzan's adult adventures. 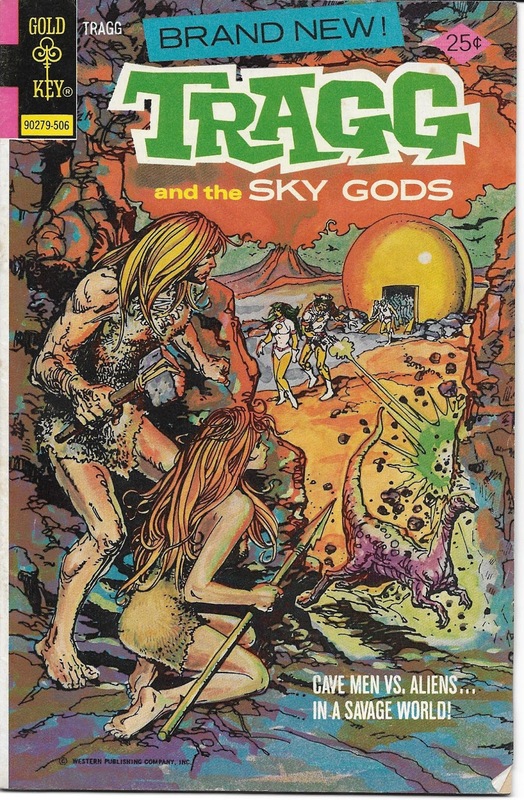 I really wish Tragg and the Sky Gods had lasted longer. 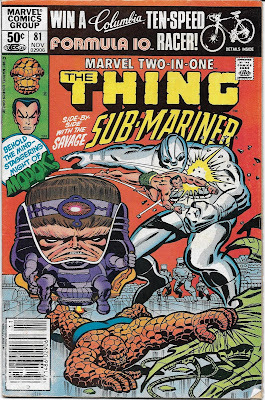 It eeked out eight issues over a 20 month period and managed to tell a pretty epic science fiction tale, but it ended too soon--though it actually did come to a reasonably satisfactory conclusion. But the bad guys were still around and it was a universe that still had stories to tell us. Also, it had dinosaurs. It ended too soon. 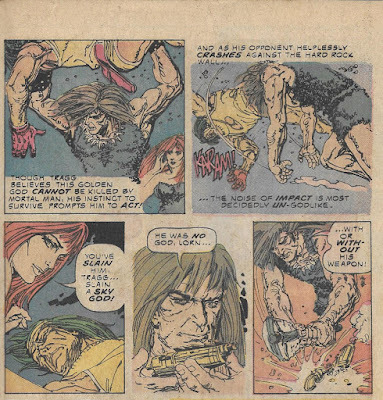 Tragg #1 (June 1975) begins the story. Written by Donald Glut and drawn by Jesse Santos, it's an outstanding example of how to write concise exposition and do some quick, effective world-building. There's a tribe of primitive humans that live in an isolated area of Earth where dinosaurs have survived, making the lives of the humans ones of constant danger. A pair of alien scientists pay a visit to the planet. They come from a benevolent society and, to help out the tribe, they treat two of the women, changing them so that any children the women have will be more evolved. This works. One woman has a boy named Tragg. The other has a girl named Lorn. These two grow up to be stronger and smarter than others in their tribe. The scientists have gone home, planning to return one day to see how the tribe is doing. But there's a revolution on their planet. When an alien space globe does return (when Tragg and Lorn are 25 years old), it is now crewed by militaristic aliens who are an advance guard for an invasion force. They know about the previous expedition and know there may be two more advanced humans living among the humans. They also learned the local language from the records of that previous expedition, so that problem is dealt with right away. All this is explained in the comic a lot more effectively than I've managed here. In the space of 25 pages, the background for the series is clearly laid out for us. And we still have time for some adventure before the last page arrives, which also helps set up the overall story arc. The tribe has been waiting for the "Sky Gods" to return for years. This, combined with jealousy over Tragg's and Lorn's natural competence at everything, leads the tribe to decide that the gods won't return until the two are dead. After all, the gods left on they day the pair was born. Obviously, they are cursed. When their fellow tribesmen begin hurling spears at them, Tragg and Lorn run for it. So, when the Sky Gods do return, the pair is close enough to scout them out. The aliens are led by a guy named Zorek and the exotically beautiful Keera. Tragg hears enough of their conversation to know they are evil and planning on conquest. It might be a bit of a stretch that the aliens speak to each other in the local language when they don't know any locals are around, but maybe they are just practicing, so we'll give this to them. 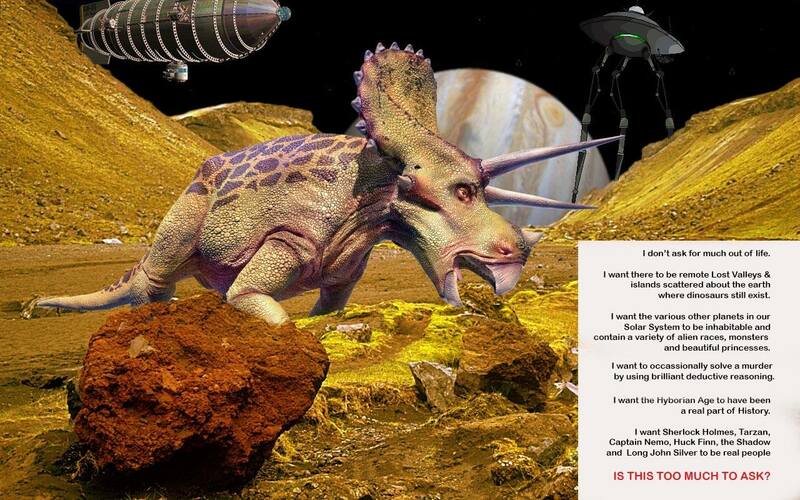 Humanity gets a break when a tyrannosaur and a triceratops get into a fight next to the space globe. The globe is damaged, leaving Zorek's group stranded on Earth until they can rig up a communicator to call the main invasion force. But they still have the rest of their equipment, including their ray guns. So conquering the local tribe should not be an issue. Tragg and Lorn plan to put a stop to that. They are spotted, but are presumed killed in an avalanche caused by ray gun fire. This allows them to escape and later get the drop on one of the aliens. 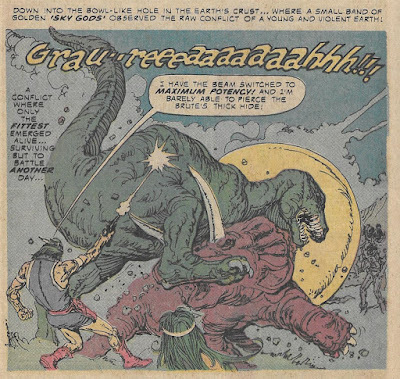 Tragg kills the guy, discovering that the supposedly divine Sky Gods are mere mortals. 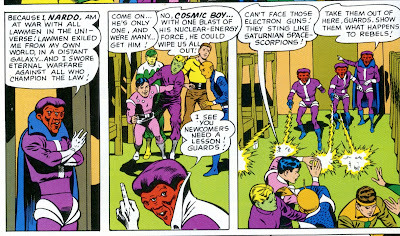 He also smashes the guy's ray gun, which is a less than brilliant move. Tragg, you have spears and clubs. They have ray guns. If you have a chance to capture a ray gun, then don't smash it! Gee whiz, man, you're supposed to have enhanced intelligence! So that's the first issue. It really does do an excellent job of setting up the premise for the series and nicely incorporates a number of action scenes into the story, using the action to enhance our understanding of the characters as well as simply looking cool. I enjoy Jesse Santos' art here. His line work has a rawness to it that reminds me just a little bit of Joe Kubert and works very well illustrating a story set in prehistoric times. I believe we'll return to Tragg's world every three or four weeks, eventually looking at the entire series. Quality storytelling continues throughout the short-lived series, so this is worth doing. Also, it has dinosaurs in it. 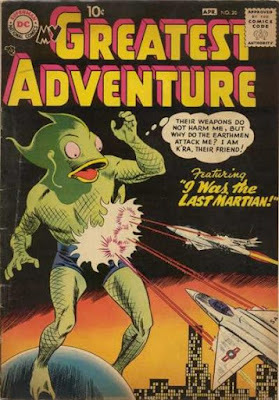 Next week, we'll jump from Earth to Neptune as well look at a Jack Kirby-illustrated science fiction story. A 1956 cover by Jerry Grandenetti. The close up makes the image feel appropriately claustrophobic as well as frightening. A small-time hood is given 50 grand by someone who is apparently a genie. But this leads to a bizarre series of events that leads the hood to apparently commit murder and get tossed in the asylum. Is there a rational explanation? A few years ago, I had a lot of fun writing a post that gave quick overview of all the stories that appeared in the October 15, 1935 issue of Adventure Magazine. I wanted to do the same thing again with another pulp, but this time make it a part of my In Order series by looking at the stories in the order they appeared in a particular issue of that pulp. Whether this is a proper use of the In Order concept may be debatable--until you remember that its my blog and I'm probably the only person in the world who would be tempted to debate the point. So I have chosen the August 1939 issue of Thrilling Wonder Stories. This particular issue was picked in part because it is available electronically both on the Internet Archive and can be purchased at Amazon nicely formatted for a Kindle. Mostly, though, I picked it because it has a really, really cool dinosaur-themed cover. 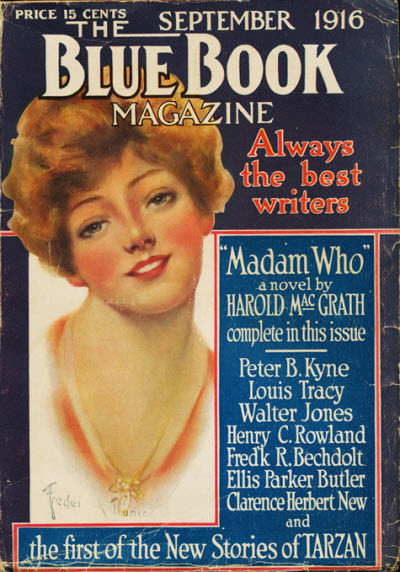 There are 8 novellas and short stories in this issue. One of them--Race Around the Moon--is listed in the table of contents as a novel, though I think the editors may have been stretching the definition a bit. It's not that long. 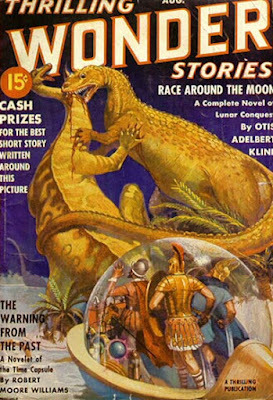 So, you've just bought Thrilling Wonder Stories from the newsstand. Eagerly leafing through an annoying 10 pages of advertisements, you come to the first story: "The Man from Xenern," by Stanton A. Coblentz. This story is narrated by a humanoid (largely human looking, but with a prehensile tail) native of a planet orbiting Alpha Centauri. A member of a once great civilization, the species had waged global war and bombed themselves back to the Stone Age. Another intelligent species, large flying creatures dubbed Soarers, then swooped down to take over and pick up the pieces. The humanoids, now called Crawlers by their new masters, are used as slaves by the brutal Soarers. The main character is someone captured by the Soarers and, at first, taken as property by a young female Soarer who is also a spoiled brat. When the protagonist can't take the abuse he endures from her any longer and bites her, he is sent first to work in the hatcheries and then in the mines, where Crawlers are used to mine radioactive materials until the radiation kills them. He eventually makes a break for it, but has nowhere to go in the maze of tunnels that make up the mines. But when a pair of Soarers finds him, they don't turn him in. Instead, they make him an offer that might not only get him out of slavery, but also get him away from what has become a Hell Planet. "The Man from Xenern" is a pretty good story, creating an interesting alien world. It does, though, have a couple of flaws. 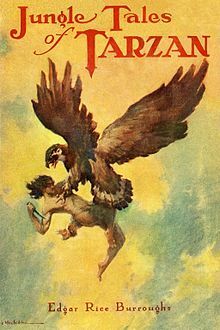 The minor flaw is the protagonist's tendency to compare things to Earth animals: "trapped like rats" or "screeched like a parrot," for instance. Of course, we could assume that, since the story is being presumably translated for us from an alien language, the metaphors are translated into Earth terms. All the same, it puts a small bump in the road to Suspension of Disbelief. The major flaw is that the protagonist doesn't actually ever do anything significant. He does bite his first owner and make a desperate but quickly futile attempt to escape near the end, but mostly stuff just happens to him. To be fair, you can argue this is the point--the story is a metaphor for people helplessly trapped in slavery or other terrible situations. As drama, though, it makes the story a little disappointing. But this is just one story out of eight. When we return to Thrilling Wonder Stories, we'll experience some time travel shenanigans in "The Time Twin." 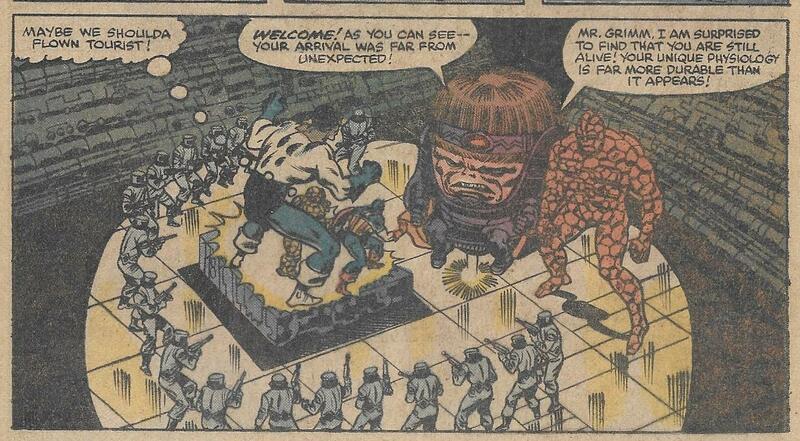 Ben Grimm Gets Even Uglier! 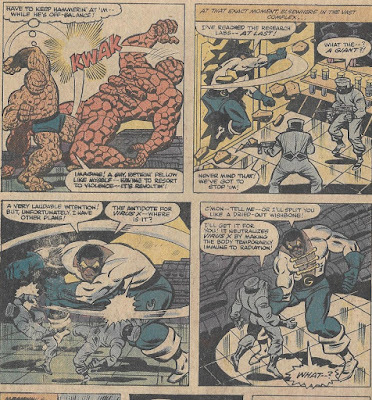 Marvel Two-in-One #81 & 82 (November & December 1981) is a solid, entertaining superhero adventure with some excellent action scenes drawn by Ron Wilson. 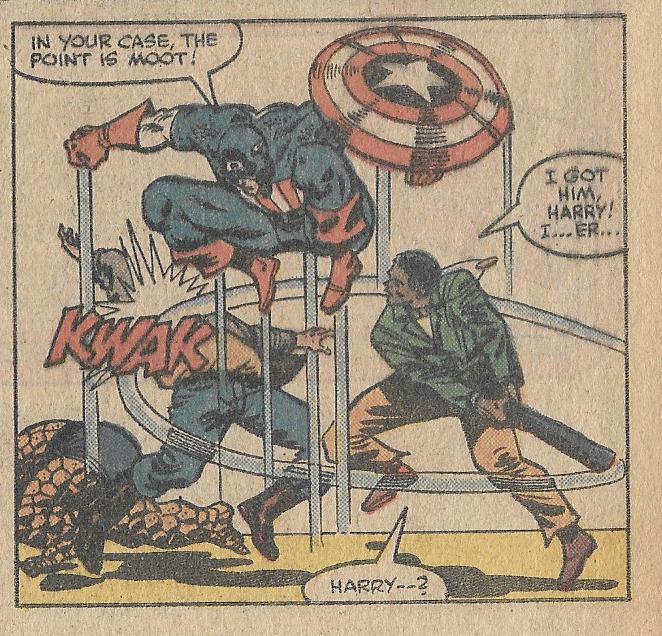 What makes it notable, though, is the skill with which writer Tom DeFalco catches important aspects of the personalities of the heroes involved in the tale. These two elements--solid storytelling and sharp characterizations--are combined to make this particular story stand out even amidst Two-in-One's generally excellent run. 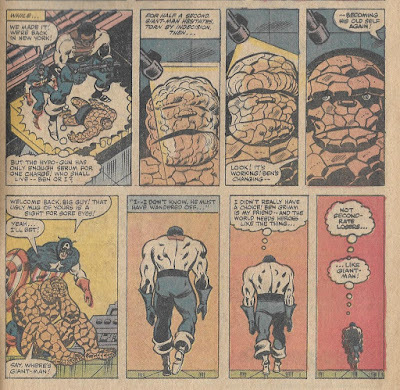 The first issue teams Ben Grimm with Namor, though we're about two-thirds of the way into the story before the two heroes actually meet. 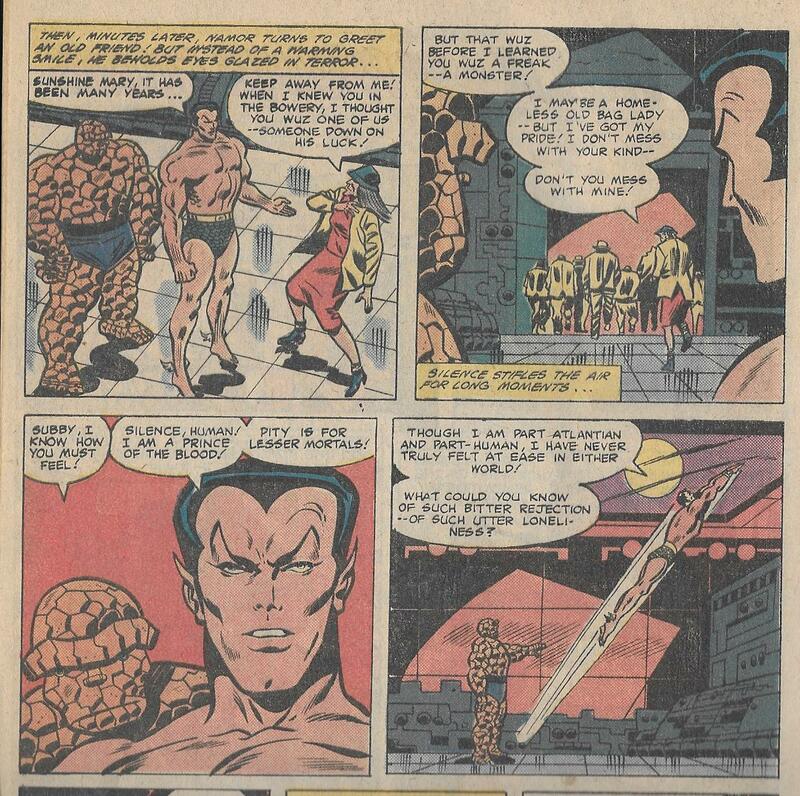 Namor is visiting New York to get away from the pressures of ruling Atlantis. 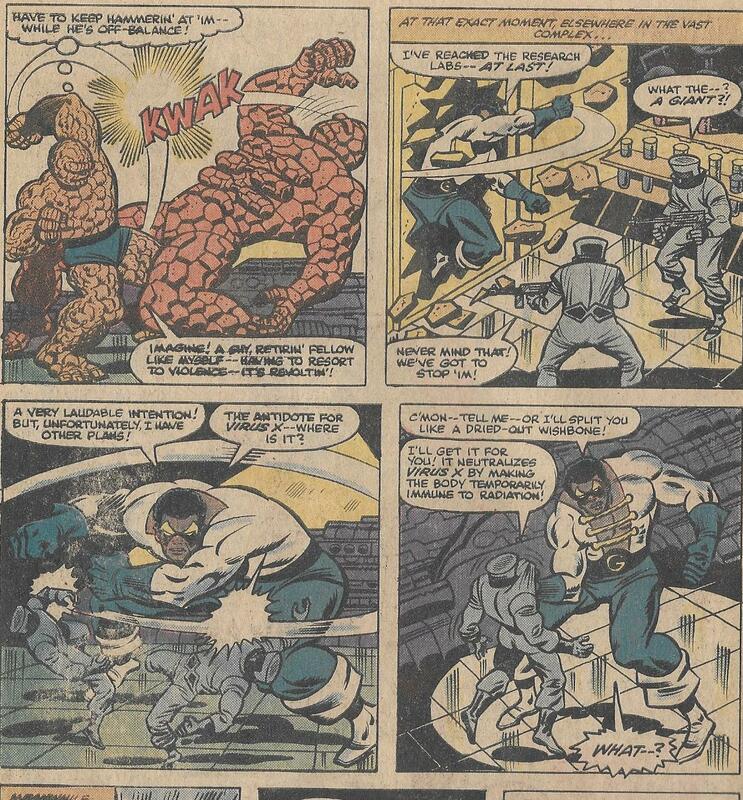 He's trying to find a homeless woman named Sunshine Mary, who had been kind to him when he had amnesia and was living in the Bowery just before the events of Fantastic Four #4. Ben, in the meantime, is going through one of his periodic "I'm not good enough for Alicia" phases when he runs into a robot kidnapping a homeless man. Even in a comic book universe, that's something you don't see every day. 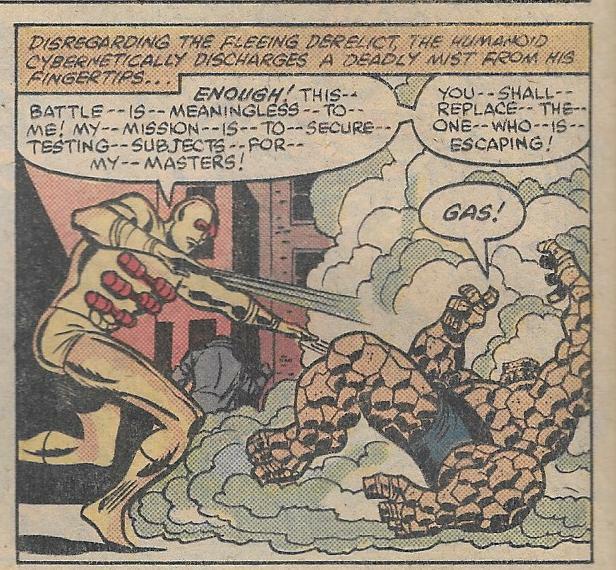 The robot gasses Ben and takes him to a secret AIM base, where MODOK is experimenting with a new deadly radioactive virus on the Bowery bums his robots have been snatching. MODOK's unique visual design and monumental ego have always made him a great villain. Find a logical reason to stick his big head in a story and that story's fun factor instantly rises 38.743%. By the way, MODOK's AIM henchmen are in blue rather than yellow because at the time MODOK is in charge of a breakaway faction after an internal rift in the organization. It's an unspoken but nice bit of continuity with the larger Marvel Universe. Namor, in the meantime, has discovered that Sunshine Mary is among the missing. 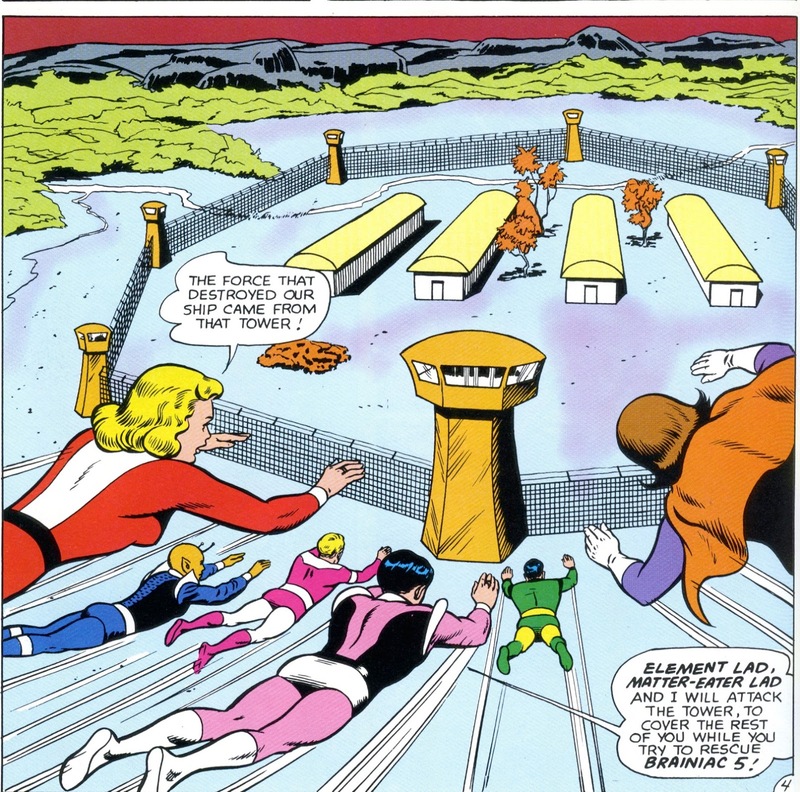 Accompanied by an army of homeless people, he tracks down MODOK's lair. 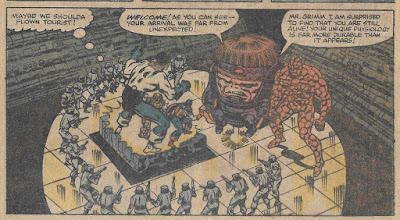 Ben also breaks out of his containment bottle and the two trash the place, saving homeless and forcing MODOK to retreat. But some of MODOK's Virus X has leaked and, in the last panels, we discover that Ben is infected. But before that, we have one of those insightful bits of characterizations I mentioned. 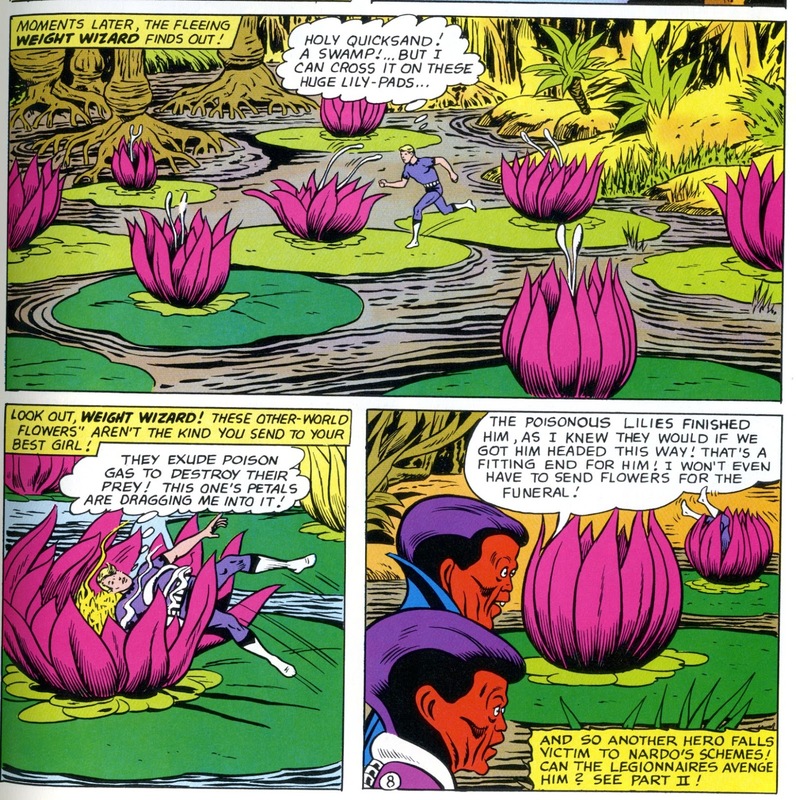 Namor greets Sunshine Mary after the rescue, but she is horrifed by him. He's no longer "one of us.... but... a freak! A monster!" 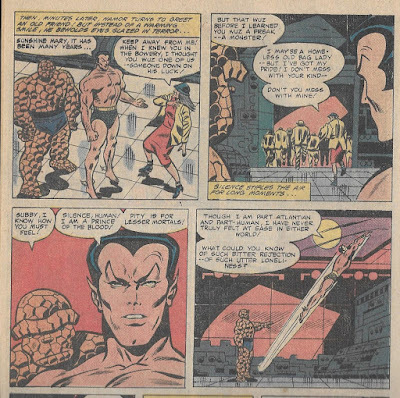 Ben and Namor have never really liked each other, but Ben's attempt to comfort Namor and Namor's prideful rejection of the idea that he needs comforting catches both men's personalities in a nutshell. 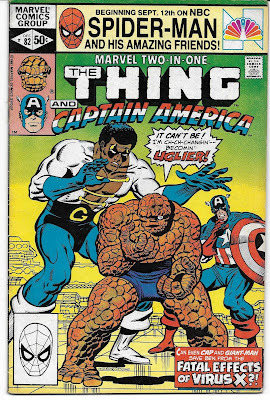 As the next issue begins, Ben is wandering the streets of New York, mutating physically into an even uglier form that he's normally stuck with and so weak that he's threatened by a trio of common thugs. Fortunately, Captain America happens by and teaches the thugs a much-needed lesson. 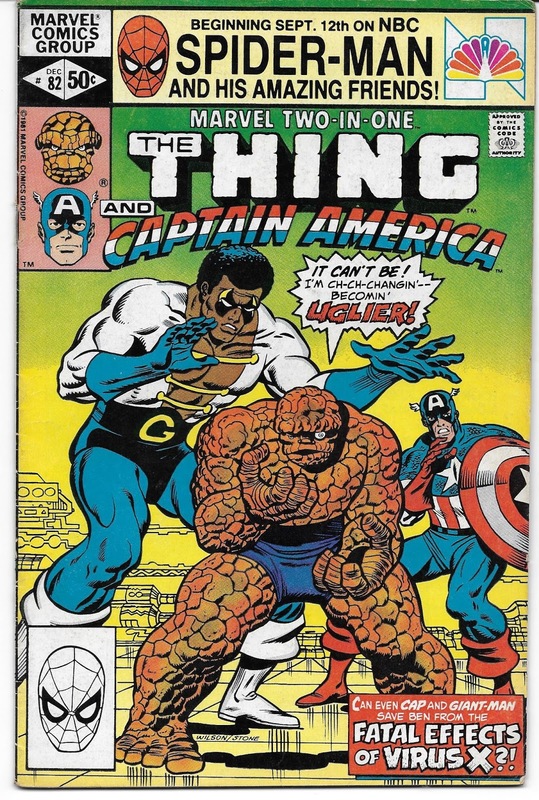 Cap gets Ben to the Baxter Building and Reed calls in Bill Foster (the then-current Giant Man) because he need's Foster's expertise as a biochemist. But an antidote alludes them. Cap takes it upon himself to track down MODOK and get an antidote right from them. 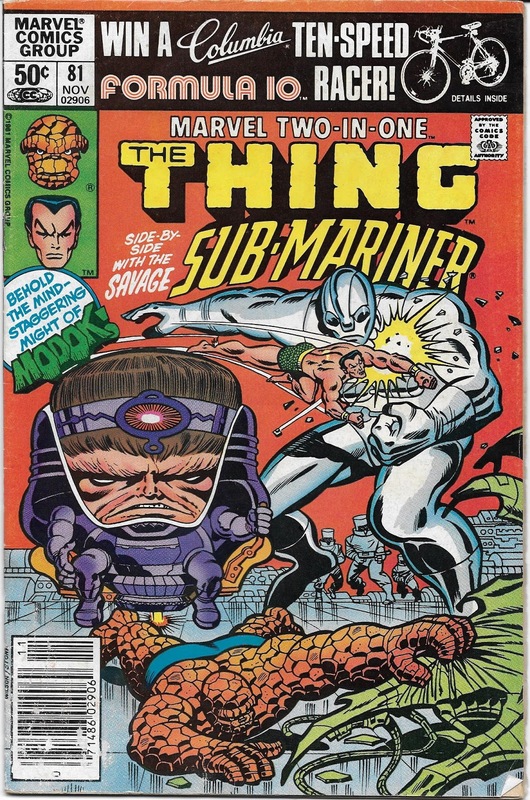 He trashes a known AIM front operation and soon (with Ben and Giant Man in tow) finds a transporter that will zap them directly to MODOK's secret base in Antarctica. 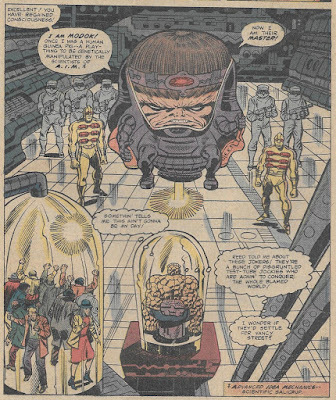 MODOK is waiting with a platoon of minions and a Thing-based robot. The fight scene that follows is quite excellent, with fun visuals and strong choreography. Ben, despite his growing weakness, pulls himself together and beats down the robot. Cap cleans up the minions while Giant Man searches for an antidote. He finds it and discovers that it might actually cure his radiation poisoning as well as cure Ben. That, by the way, was Giant Man's problem during the 1980s. He was slowly dying of radiation poisoning. It was a story arc that showed up whenever he guest-starred in a comic. Because he never had his own book, it's a story arc that probably went on too long, but even so it was something that helped give his character depth, allowing him to show his basic generosity of spirit despite knowing he's likely to die soon. In the fighting, the devise containing the antidote is damaged and there's only enough for one person. Foster, without telling anyone this, uses it to save Ben. 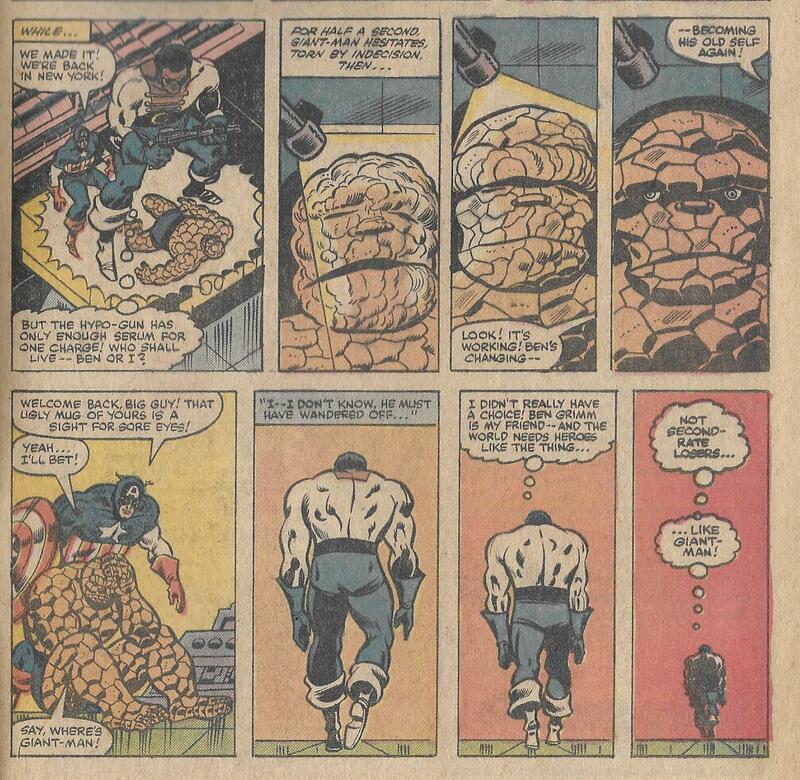 His internal monologue tells us "The world needs heroes like the Thing, not second-rate losers... like Giant-Man." 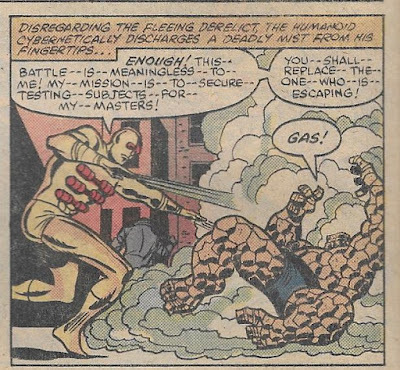 This makes me think of several occasions during the Lee/Kirby run of Fantastic Four where Ben would risk his life for somone else, convinced in his own mind that Reed, Johnny or Sue are simply worth more than he is. He and Giant Man parallel each other here. Both are clearly heroes. Both are noble, brave and more than willing to die to protect the innocent. But neither of them recognize themselves as heroes. Their worth is incalcuable, but they simply cannot see this in themselves. 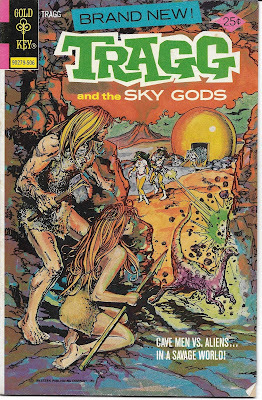 Next week, we'll begin a look at Gold Key's regrettably short-lived Tragg and the Sky Gods.